Ozone Therapy is a unique form of therapy that uses “ozone” to both heal and detoxify at the same time.It is used to treat a variety of chronic diseases Including cardiovascular disease, diabetes, Lyme disease, chronic hepatitis, AIDS, herpes, chronic fatigue syndrome, chemical sensitivity, circulatory disorders, fibromyalgia, macular degeneration,chronic bladder conditions, colitis, auto-immune diseases, and Crohn’s disease. The use of ozone to treat various medical conditions was first developed in Germany in the early 1950s. Today, medical Ozone Therapy is common throughout Europe and over the last 25 years it has gradually been spreading in the United States. Ozone Therapy should only be used by fully trained professionals. Dr. Frank Shallenberger of The Nevada Center of Alternative & Anti-Aging Medicine in Carson City, Nevada is the leading expert in the medical use of ozone in the United States and has trained over 700 physicians in the use of Ozone Therapy. Dr. AG Patel of the AG Patel MD Anti-Aging & Regenerative Medicine Center has been trained by Dr. Shallenberger and is certified to use Ozone Therapy. Ozone can be administered in the body many different ways. The main premise is that no microbe can live in a “super-oxygenated” environment. Ozone is Bacteriostatic, which means that bacteria, viruses and fungus cannot live in its presence. When ozone is introduced into the body, it aids in killing off the microbe overgrowth and assists in restoring normal microbial balance. Major Auto Hemo Therapy (MAHT) is the most common and in most cases the most effective way ozone is administered. The patient sits in a chair and has 200-250cc’s of blood drawn and injected into a sterile IV bag. Then ozone is injected into the IV bag and the bag is gently shaken, allowing the red and white blood cells to take up the ozone. The ozonated blood is then returned to the body via an IV infusion. 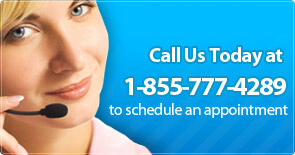 The entire procedure takes about 30-45 minutes. Ozone can also be administered through Subcutaneous Injections and through the “bagging” of an extremity and perfusing ozone into and around the affected area. These methods are effective in treating skin outbreaks and infected wounds on the skin or extremities due to diabetic ulcers or resistant infections. 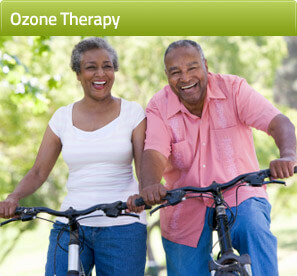 It is important to realize that Ozone Therapy is not a panacea or some kind of magic potion. Although it is often an indispensable modality, it is only rarely effective by itself in that in the majority of cases, it must be combined with an individualized program of other alternative and regenerative therapies such as nutrition and detoxification.